>Today the wind howled yet it was a beautiful sunny day. 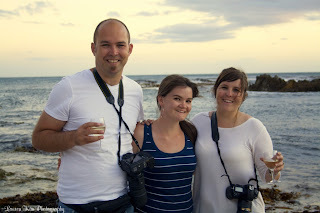 I had organised as a Christmas present to my family that Lauren from Lauren Kriedemann Photography (www.laurenk.co.za) come take some family images all together at Betty’s Bay. We had great fun on the beach and I cant wait to see the photographs. So special having beautiful family images – which I know these will be. So here I am with Lauren and her husband Kevin.